S-26 Gold Alpha Pro, Step 1. Premium infant formula - from birth. If formula-feeding, infant formula may be the sole source of nutrition in the first 6 months of your babyÃ¢ÂÂ€ÂÂ™s life, and choosing an infant formula is an important decision. Generation of babies have been nurtured on S-26. 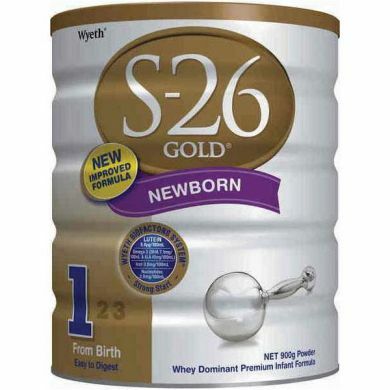 Our S-26 Gold range is enriched with additional important ingredients. Our 3 steps S-26 Gold nutritional plan will ensure that your baby receives quality nutrition to meet their needs at each step of their development, from birth to toddlerhood.